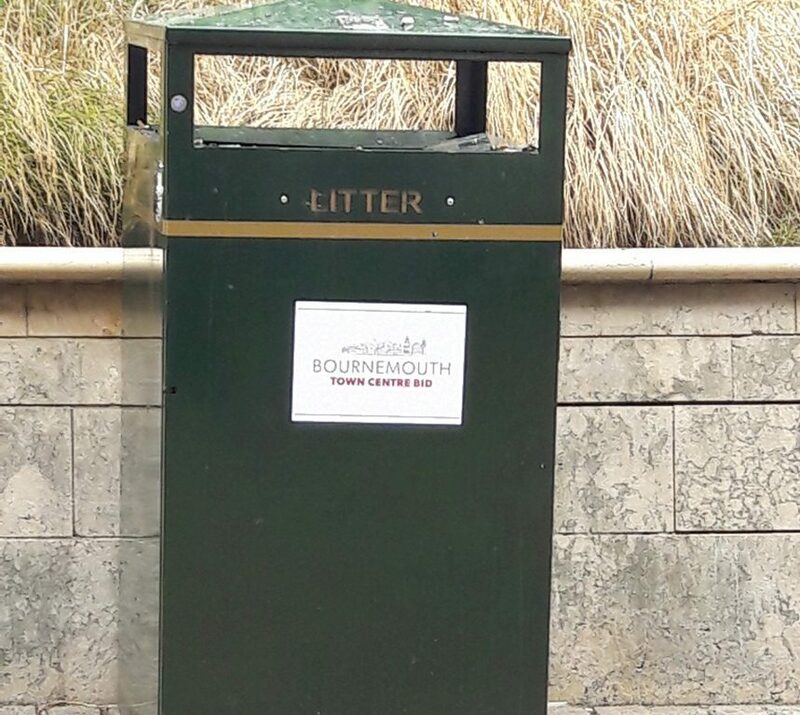 Following an influx of additional visitors to Bournemouth this Summer, the Bournemouth Town Centre Business Improvement District (BID) is supporting Bournemouth Council’s new anti-litter initiatives. Bringing in hundreds of thousands of additional visitors, Bournemouth’s town centre businesses have been celebrating an exceptional summer tourism period brought on by the heatwave. However, alongside the influx of visitors, who have been shopping, enjoying town centre events and spending time in Bournemouth’s public spaces, there has been an inevitable increase in litter. Helping to tackle this issue, the Bournemouth Town Centre BID is supporting Bournemouth Borough Council’s new litter clearing initiatives. Keeping the area clean and attractive, the Town Centre BID has funded five additional bins for the town centre. Recognising and addressing the litter issue, these have been located in key locations, including outside Cafe Obscura, Franco Manca, Pret A Manger, on Post Office Road and Beale Place. Working closely with the Council to enhance litter clearing services, the BID has also successfully lobbied for additional litter bin collections at weekends, temporary commercial sized bins, additional cleansing activities and improved commercial waste arrangements. Part of its ‘Clean and Green’ programme, the Town Centre BID also provides a rapid response cleaning service, fly-tipping removal and decorations aimed at restoring pride in Bournemouth’s town centre. All activities aim to help Bournemouth’s town centre effectively compete with other centres across the UK.